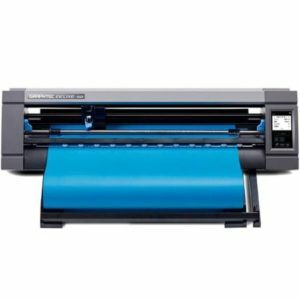 Saga Contour Vinyl Cutter 720ii, 24″ with servo motor The Saga vinyl cutter series is driven by Servo motors. This is the most common Saga unit in circulation and includes a semi-automatic contour cutting laser. Ships with Dragon Cut Basic Software, Basket and stand. 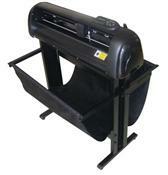 It is an upright cutter driven by Servo motors and includes a semi-automatic contour cutting laser. 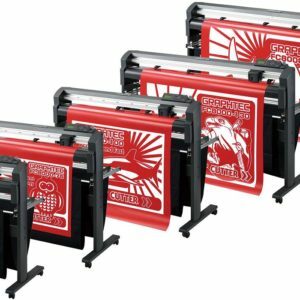 With a maximum clearance of 28.3″, this cutter is perfect for running 24″ vinyl which is the most commonly available size in the marketplace for sign vinyl. 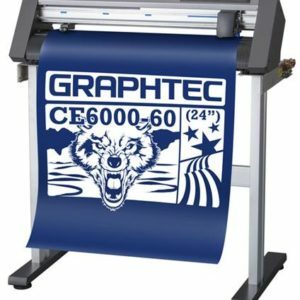 Perfect for running sign vinyl, heat transfer material and a variety of other release liner backed materials. 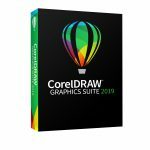 Drivers available for setup as a Printer, cut directly from Corel, Illustrator, AutoCAD, FreeHand, MS Word, etc.